Here's a neat link to some old construction photos in Providence. Off topic development wise, but my take on PROVIDENCE, HARTFORD, WORCESTER, SPRINGFIELD, NEW HAVEN and BRIDGEPORT seeing there was some back and forth with previous posts. They are all impressive and historically important in their own right with similar populations (120K Hartford now - 253K Providence 1940) during the past 70 years. The tower was only a couple blocks from the biggest ones downtown. Looks ugly when the skyline is only a couple blocks long. No real news yet as the vote isn't until this evening. None of the above, but it is small and provincial to a fault and that frustratingly rears its head in situations like this one. It's a weird place, man. Good luck Providence! Save the Superman next! If it's weird, it's only because its quintessentially New England ethnocultural traits/tapestry is so colorfully compressed within a narrow geography. Otherwise it's just like the rest of New England: vestiges of the original Puritan elites (i.e, descendants of the founders of Brown Univ. + their cohort), a large class of Swamp Yankees in the hinterland, large Italian & Irish urban cohorts descended from their forefathers who found themselves plunged into the breakneck urbanization/industrialization of 1850-1920, overlaid with a newer immigrant class from Central America, Southeast Asia, etc. And the overall story from approx. 1820-on mimics the rest of the region to a very large degree: the industrial dynamo of the world from ca. 1820-1920. Horrific deindustrialization from 1920-1980 or so. Urban renaissance since then to a large degree driven by "eds + meds". Rhody's population is only just shy of ME & NH (they're both 1.3 million, RI is 1.0 million). Certainly, Rhody's sociopolitical traditions & tendencies get skewed by how utterly Providence dominates not only as the capital but as its GDP driver. I wonder if Providence metro has the most disproportionate share of any overall state economy in the country. But is the Providence effect that much more pronounced compared to how much Boston exerts such a fearsome gravitational warp on the MA hinterland? "After the base closings, the statewide unemployment rate soared from about 6 per cent to 18.2 per cent, rising to more than 30 per cent in some towns. Coupled with the economic impact of the Middle East oil embargo and the national recession, the loss of the Navy's $344 million annual payroll caused an immediate 6 per cent loss in the gross state product. Rhode Island, which trailed the average national per capita income by only $9 in 1972, fell $138 behind two years later. In one year, small-business income dropped by 25 per cent in the Newport area and by 15 per cent in the Quonset Point area." Prior to that, the naval/maritime industries in the Greater Newport region probably served as a far more effective counterweight to the Providence economy. After, of course, Newport converted to an overwhelmingly tourism- and leisure-driven economy. If only the Watergate timeline had been accelerated by a year? ^^^Good read DBM. Thanks for the background info. I forgot to add, simultaneous with the Irish/Italian influx of 1850-1920 or so, in RI the Franco-Canadian immigration was pretty damn significant. After all, Woonsocket [Woon-sock-et] is celebrated as "the Franco-Canadian Capital of America." That ethnocultural injection was most significant in Maine over all the other New England states, I have to think, but then maybe MA & RI are tied for 2nd place? It's a tough one to measure or extrapolate given that the Providence metro area extends well into MA (Attleboro, Fall River, New Bedford, etc.). In comparison, the Boston metro area GDP (which also includes Southern NH) is $438.7 billion, while MA GDP is $446.5 billion. Another New England example would be the Portland metro area, with a GDP of $27.4 billion compared to all of Maine at $51.8 billion. So, I think there is some validity to your thought that Providence metro has the most disproportionate share of any overall state economy in the country. Obviously these examples look at only New England, but I can't think of any other state that is dominated by one metro area as it's primary economic engine (maybe Anchorage, but how much economic stimuli is actually generated there vs. other parts of the state, with Anchorage simply being the main funnel for money?). 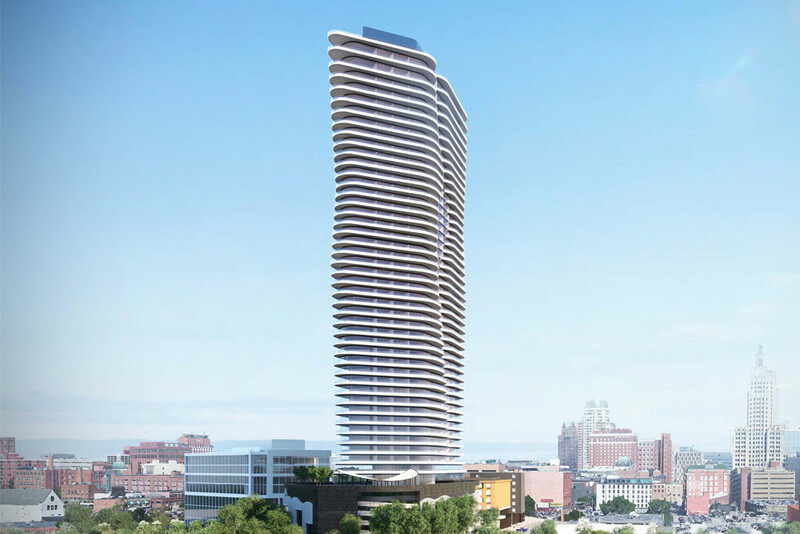 The I-195 Redevelopment District Commission approved a $3 million purchase-and-sales agreement for the land where a new high-rise has been proposed. Due to expected litigation battles, it seems as though it will be several years (if ever) before anything gets built though. Hmm that new render at #10 is interesting. 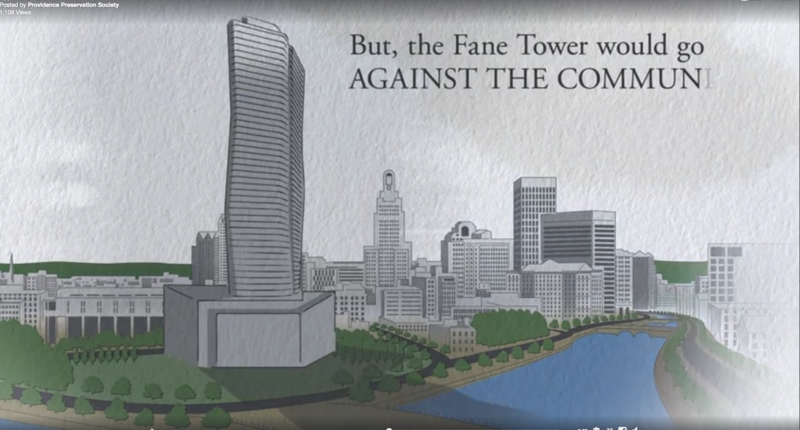 Is hope point where those huge 3 ugly towers were first proposed? This looks much better. Same spot, same developer, just a different iteration of the proposal. 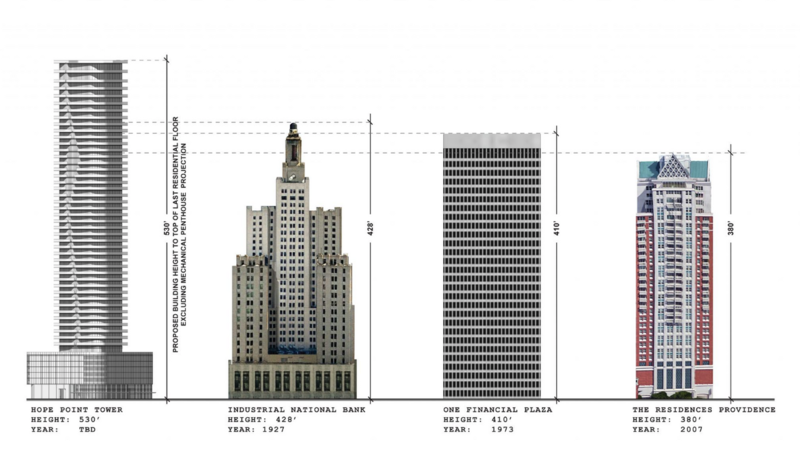 Possible new office tower for Providence - minimum 300,000 sq. ft. 20 floors? That would be great. Providence could really use some new office space and it looks like maybe they are considering something other than knocking down the Superman Building. Another angle. I cant believe they are actually making the right motions to move forward with this. I love that people said its out of scale for the neighborhood and he said "thats the point its not iconic if it blends in..." Haha, Boston needs some more of that!! He said the Eiffel tower was chided as being out of scale too, now its an icon. I agree with him a tower that dwarfs the whole skyline does look iconic. Also its not like Providence is OKC, its actually filled in over a couple hundred years and also has a large metro are as well. Im still doubtful, but surprisingly its passed all the hurtles so far. Like it or not tall towers are beacons. They say "hey big things are happening over here". A city doesnt have any tall towers unless atleast something is going on. Construction is a beacon too saying we are progressing. This would be great for them. Id love to see Providence start doing better, they CANNOT demo the Superman building, if they were going to I wish we could disassemble it and move it to Boston haha... That would be a travesty to demo their art deco tower..
Last edited by stick n move; 02-18-2019 at 08:54 PM. Which Portland if you dont mind me asking? I was looking at all of the light rail sytems in the US the other day.... yep nerdy, and I saw that Portland Oregon has one of the most extensive light rail systems in the entire country. I was blown away. Its really nice too. Somehow their "mass" transit is extremely extensive and just north Seattle has nothing-although theyre expanding a lot right now.. The original Portland which is located in Vacationland without any light rail systems, but we do have AMTRAK.